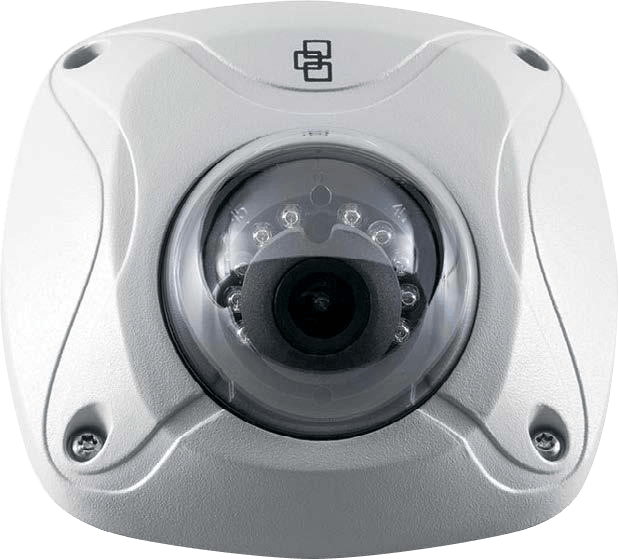 TruVisionTM UTVW-1101 IR Wedge dome camera bring the state of- the-art, and high definition pictures to the mass video surveillance market. This camera has IR and True Day/Night as standard. Together with local storage will this IP cameras represent a flexible video surveillance device that meet any need. Equipped with advance technology and signal processing capabilities, the effectively capture video under challenging conditions. The TruVision camera uses H.264 compression technology with dual-stream capability, making it easy to manage the camera’s bandwidth usage. Fully designed to adhere to PSIA and ONVIF open communication standards as well as supporting a CGI command set, these cameras allow for simple integration into any IP system. Video streams can be set up for high or low bandwidth, and images can be streamed for live viewing or sent to a designated recording location. This Wedge dome version provides a vandal-proof solution. By default it is IP66 rated so it can be used for outdoor installations as well indoor. Its unique design makes this camera discreet and aesthetically attractive.